Hollywood is such a clueless industry filled with powerful people with skeletons in their closets. The best example of this is when the Me Too Movement scandal broke, there were other powerful players, agents and studio executives who were also named but because they’re not A-list celebrities they were mostly forgotten or ignored. In other words, those people are still power players. And Hallmark and Netflix dumped this Hollywood actress after she was exposed in this scandal. If you blink then you might miss the latest Hollywood scandal. Then slowly but surely the industry will accept them with open arms as if they just finished a prison sentence. They did it with Roman Polanski and Mel Gibson but now it’s getting a little harder given the nature of social media and how information is so readily available. 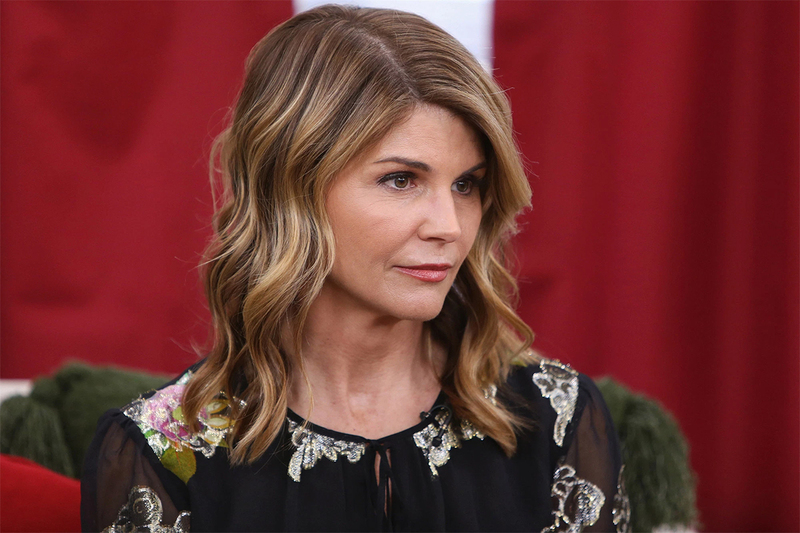 Lori Loughlin, star of Full House, was just blacklisted from the industry for the time being because of a college admissions bribery scandal that swept the nation late last week. The Hallmark Channel and Netflix both cut ties with the actress. Meanwhile, Netflix did the same and sources told Vulture that Loughlin would not be invited back on the set of Fuller House. This news comes after Loughlin and her husband, Mossimo Giannulli, the famous clothing designer, allegedly paid $500,000 in bribes to the University of Southern California so that their two daughters could be admitted. Loughlin was charged and booked in a Los Angeles federal court last week on a staggering $1 million bail. The massive FBI probe swept the nation with nearly 50 people being charged, including actress Felicity Huffman, for anything from bribes to faking SAT scores –allowing kids the best opportunity to get into college. Now, Loughlin is jobless and could be facing some serious jail time. Education Secretary Betsy DeVos says officials are reviewing whether a widespread college bribery scandal violated federal education rules, which means more bad news for the couple. A statement issued Wednesday by DeVos called the scheme “disgraceful” and said her department is “looking closely” at the issue. How long will it take Loughlin to be admitted back into the Hollywood players’ circle of trust? For instance, that’s why Mel Gibson and Roman Polanski are able to continue making movies. Despite the allegations against them, if you have talent then more people will be open-minded to a comeback. She’s an actress in Fuller House and movie-of-the-week Hallmark movies. Would you really miss her? It’s not like she’s tearing up the theatrical screen with monster blockbusters. Her career is most definitely over.